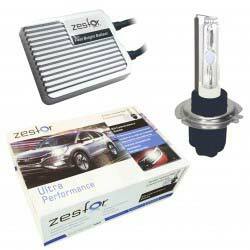 Kit conversion to LED H7 car brand ZesfOr®. 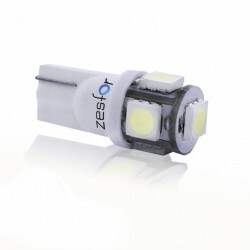 Light more stable, longer duration and higher luminosity. Technology Easy-Install for a better coupling of the light bulb to the lighthouse. Mats BMW 1 Series e87 e88 with measures and anchors the original. High quality, high tensile strength and with reinforcement at the heel for a longer duration. Kit Hidroimpresión advanced for amateurs. Includes everything needed for the initiation into the world of the hidroimpresión. Ideal to make some trim out of the car, mirrors, rims or spoilers. 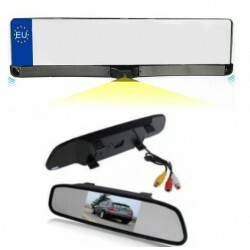 Kit portamatrículas with sensor parking, camera and screen rearview valid for install on the front or rear of the car. Ideal to combine with any of our screens to see the image of the camera. The Group Audioledcar is a Spanish company founded in Madrid more than 8 years specializing in solutions of accessories and spare parts for the automotive sector. The Audioledcar group is a young, dynamic company adapted to new technologies and with a concern railway for having the best products and services to our customers. Its product portfolio includes from vinyls for cars even the most advanced systems of location. He was born of the concern of two young engineering students who wanted to improve the current system and go a step further. Supported by family and friends they created their first web and settled with a small store in Madrid. Little by little, and without economic help, you were opening way in this new world with the led car bulbs. The most important factor of this great company is the illusion and the values that have been forged the pillars of the Audioledcar group. The staff of employees, from distributors to sales managers, constantly transmit this feeling. In addition, the Audioledcar group, has meant a revolution in the world e-commerce. Question of which products were that were sold in this company, one of the founders said: "do not sell products, buy experiences. Our products are small jelly beans that the client wants to try, and we are fortunate to be able to make that dream a reality. We put all our know-how to make the experience as pleasant as possible. So we pour our efforts into a smile of satisfaction drawn in the face of the customer before, during and after the order". Be the strategic supplier for our customers. Create a satisfactory shopping experience. Offering full service to meet the needs of all customers. Lead the market European and Latin American. Diversify into new products that are technologically pointers. Since its inception the company has been characterized to include products with the highest standard of quality in its portfolio. Among its most outstanding products we can find the car diagnosis. After years of experience, a team of engineers and a deep knowledge of manufacturers and suppliers in the sector, the Group Audioledcar offers different product ranges to cover the needs of both our private and professional customers. Thanks to this today the Audioledcar group is present in 8 European countries and every day extends its expansion into new markets in Latin America and United States. 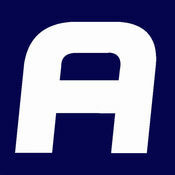 What service does the Audioledcar group for individual customers? 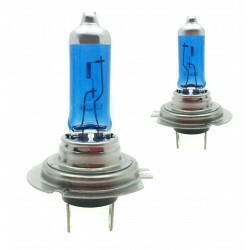 Audioledcar offers the customer a wide range with more than 2000 references of the best brands in your online store. Among their best-selling products are the car matsavailable in rubber and velour, two qualities other than the customer's choice. All products are in stock and delivery is done in less than 24 hours for Spain, 2-3 days for Europe and 7 days for Latin America and the United States. There is also the option to pick up in store. The warranty offered by Audioledcar is direct and is managed in less than 48 hours. It also has a call center and an interactive chat where customer can expose all your doubts or ask for advice. On the other hand, the company has created a Blog with more than 200 entries about doubts, advice, facilities and frequently asked questions. What service does the Audioledcar group for professional clients? All the shops, workshops and dealers working with Audioledcar have access to a network of trade who advise both technically and commercially. In addition, the delivery of all orders is less than 24 hours and all warranties are handled directly with the commercial. 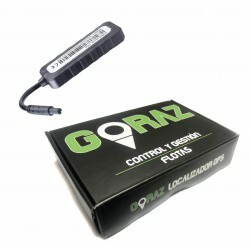 Spotlight product of sale for cars professionals is GPS Locator. This single company sells brands of high recognition that meet all quality standards. 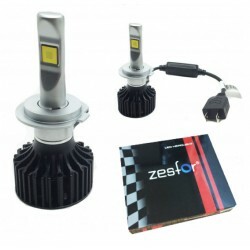 -As regards the lighting led, h7 bulbs, lamps, position lamps, lights and xenon Kit, Audioledcar has ZesfOr brand that is characterized by offering a durable products and who meet all European regulations. All these bulbs and led lights, and xenon are comparable. -All the sprays of liquid vinyl they are manufactured under the brand name WrapWorkers. 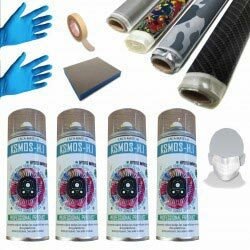 This product is new to the market and consists of a format paint spray that is applied to the car and once it is dry can be removed as one stickers for car. This product is used to paint the whole car, paint rims or make small finishes inside. Its great advantage is that with the passage of time can be removed without leaving any remainder. Among the different brands on the market can be found Plasti dip Full dip, dip or Car Evus. The difference of WrapWorkers with all of the above is the texture that provides a completely smooth finish. -Parking sensor: you can find a wide variety of screens, parktronic parking sensors magnetic and everything you need for your car. It also includes installation guide so that you make yourself. -Vinyl car is manufactured by WrapWorkers Series, a subsidiary of WrapWorkers. With this mark, you make sure that the vinyl car You can mold with heat, guarantees a perfect finish, since it has a system anti, and likewise removed without leaving any residue. -Accessories and spare parts car: we can find a wide range of Wiperchains for car, radar detectors, starters of batteries, carrying skis, GoPro camera, multipliers of torque etc. 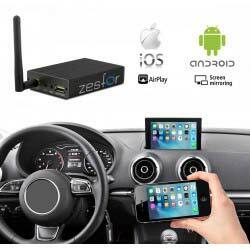 -Vehicle accessories GPS tracker: prevents theft and have located your car at all times thanks to these small appliances for easy installation in your car. -Diagnosis obd2 car machines. We have the best brands on the market at your disposal: Icarsoft, Launch, Ats etc. These machines are used to see, delete failures, diagnosing a car, multi-make Diagnostics etc. -Cleaning accessories and detailed: detailing. If you're passionate about cars you can not miss the cleaning section. We have the best brands at the best price: Chemical Guys, Sisbrill, Meguiar´s etc. All a range of products for the care of your car. And much more. Our commitment is to grow every day the AUDIOLEDCAR group so stay tuned, important developments ahead, thank you for trusting us.